More home buyers in L.A. are using FHA for home financing because the maximum loan amounts are higher than Fannie Mae or Freddie Mac in some instances. Check out the recently updated 2014 limits for FHA loans in Los Angeles, California. 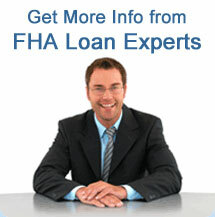 We provide great rates to qualified applicants seeking FHA loans in Los Angeles. Los Angeles FHA loan limits are still available for first time home financing. As of January 1, 2014, the limits on FHA mortgages highest cost regions areas in Los Angeles to $625,500 for a one-unit property which I down from $729,500. Many first time home buyers in Los Angeles prefer FHA mortgage because they help make obtaining a sufficient loan easier for those with poor credit, as these loans are backed by federal mortgage insurance provided by the FHA. While the borrowers will be expected to pay the premiums involved with the insurance, lenders will be more willing to approve them for home loans knowing that their investment is protected. There are many benefits to FHA home loans, but before applying for a FHA home loan in Los Angeles County, it is important that FHA issued loan limits are carefully paid attention to in order to ensure the best chance at approval. Some FHA home loans in Los Angeles may not be available in all areas of the county.